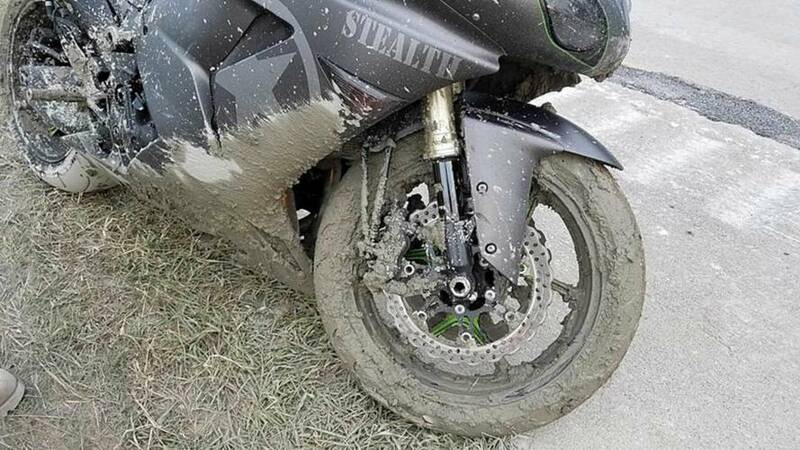 Wet concrete makes for a bad riding surface, a fact that one Michigan rider learned the hard way when they ran into a wet patch, crashed, then ran away. There are two seasons here in Michigan: Winter and Road Construction. 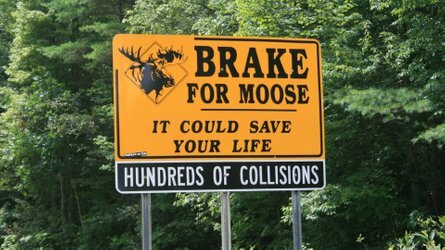 Since we have old, busted infrastructure, no leadership, and almost no weight restrictions on heavy trucks here in the Wolverine state, our roads get both heavy abuse and heavy neglect. 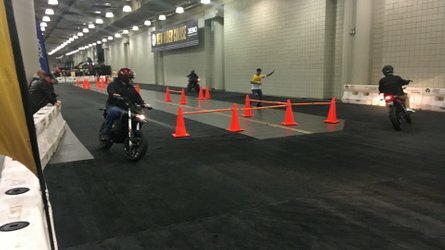 Road construction season is, of course, riding season and Michigan riders need to pay real close attention while out riding to avoid both our legendary potholes and construction hazards. One rider in Michigan's Clinton County wasn't paying close enough attention recently and rode their sportbike through a trough of wet concrete in a closed lane then abandoned it there. 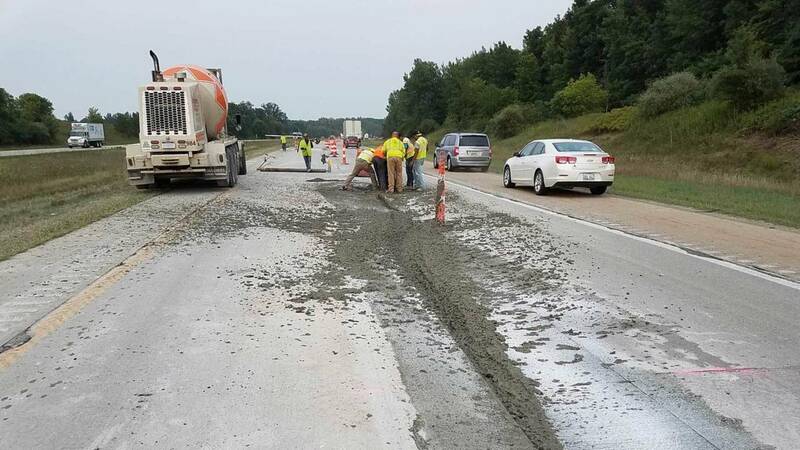 According to the Michigan Department of Transportation, a construction crew was laying a concrete patch along I-69 in Bath Township around 6:45 pm on August 20 when the incident occurred. 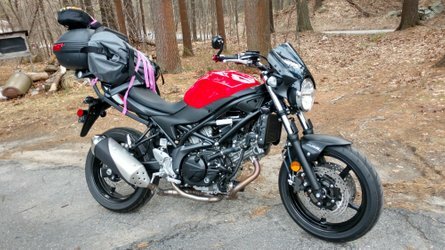 Apparently an impatient sportbike rider approached the work site while weaving in and out of the closed portion of the highway in an attempt to avoid slow traffic. The rider got a real nasty surprise though when they ran into a longitudinal patch of fresh, wet concrete. The bike dug itself a nice, long trough before crashing. Once the bike went down, the rider legged it into the woods next to the highway and fled toward nearby Chandler Road leaving the poor bike all alone and covered in quickly setting concrete. Thankfully, no one was hurt save for the bike. 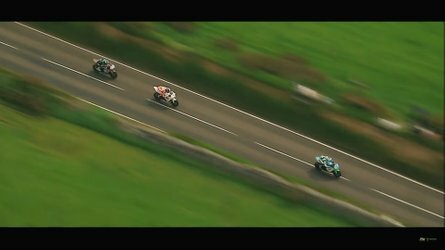 That's not where bikes go at all! "Did you lose a motorcycle yesterday driving on I-69 in ClintonCounty? Remember to always drive safely in work zones and do not use closed lanes to pass slowed traffic - you never know where concrete might be curing. You can pick your bike up at the impound, where the police will be waiting." Officers from the Bath Township Police Department are currently searching for the absconder, who faces a civil fine for disregarding traffic cones and a possible criminal charge of fleeing the scene of an accident.